Mini pirate ship is a popular kiddie rides loved by many kids in amusement and theme parks, funfairs, carnivals, plaza and other family entertainment centers. And children pirate ship is actually a scaled-down version of the pirate ship ride of pendulum rides. As time goes on, more and more kids want to go to amusement parks, and mini pirate ship catch kids’ eyes on it. 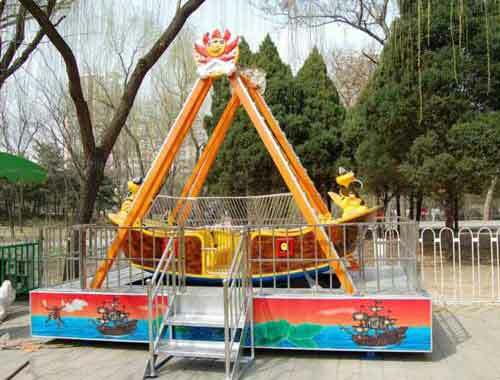 If you are looking for kid amusement ride, Beston mini pirate ship is a pretty good choice. Orders are welcomed! 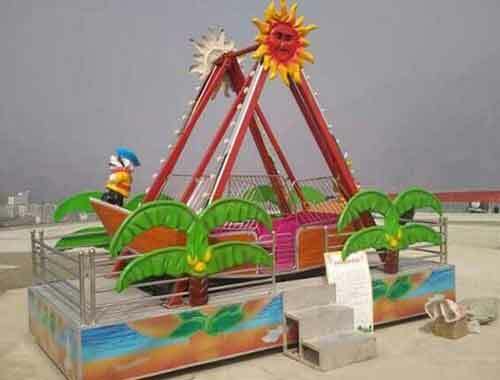 Mini pirate ship for sale is a great horizontal axis type amusement park rides. It is also known as childrens pirate ship, and small pirate ship. Pirate ship is called as its shape resembles the ancient pirate ship. Kids pirate ship for sale is swung back and forth with the drive system, with impact on the friction track underside of the boat. When starts, pirate ship rides reversely swing, and gradually get higher. 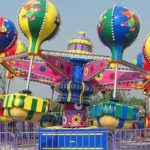 As the speed slowly accelerates, the mini pirate ship ride can safely swing the young children in higher air, which gives the youngsters a sense of weightlessness, similar to the experience of riding children swing chairs. 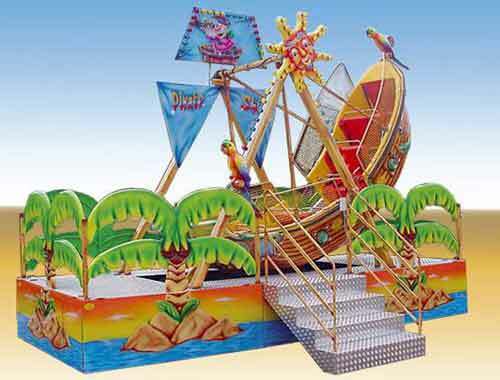 Although mini pirate ship ride has smaller size, but it ensures an enormous appeal for kids. All passengers in the pirate ship, become motivated by the thrilling feel like sailing in the ancient Viking pirate ship rides. 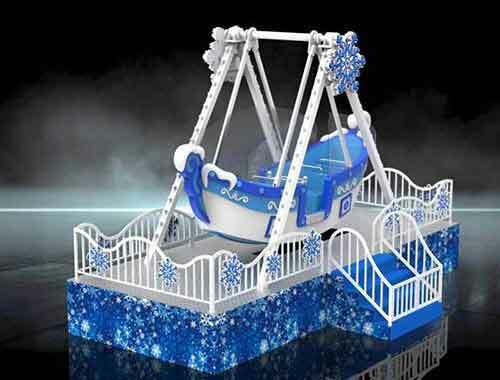 Our kids mini pirate ship for sale has hundreds of colorful LED lights, is more beautiful and splendid at night and joyful music will please the visitors. 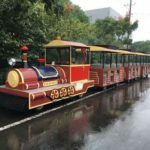 The small pirate ship for sale is suitable for theme park, Water Park, amusement park, outdoor& indoor playground, shopping mall, city park, Carnival Park. Steel structure of childrens pirate ship has been polished by twice time, the painting of the production looks smooth and shining. 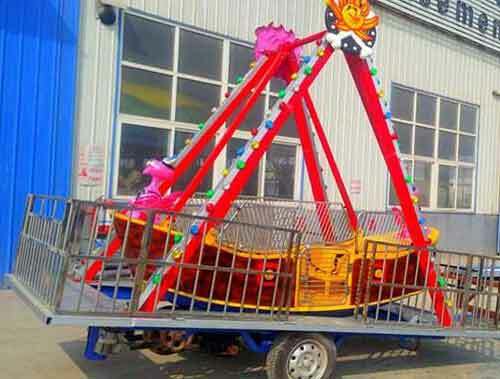 High quality motor and steel frame painted by fadeless painting, so our small pirate ship for sale is strong and durable, has a longer service life. 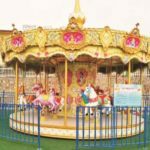 For kids, they love riding in colorful small pirate ship ride in motion, which also features their favorite animals, cartoon characters and vehicles. 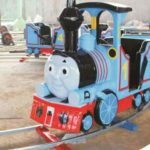 Since young children love bright colors, novel designs, and cartoon figures, Beston kids pirate ship rides for sale vary in designs and themes, and can be customized to meet the needs of your targeted guests. 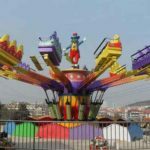 In all, children pirate ship rides for sale in Beston are suitable for amusement parks, theme parks, carnivals, funfairs, family entertainment centers with various options. Light equipment and music players. All the kids pirate ship rides for sale in Beston are equipped with LED light, which can turn the nights as a fairyland for children. Besides, children favorite music will also be played while the adolescent children are enjoying themselves on the rides. Various small pirate ship available. Beston kids pirate ship rides for sale offer different models according to the different themes, designs, capacities. 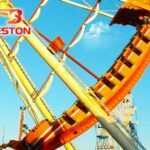 No matter which models, Beston endeavors to manufacture well-built amusement rides. Safety is ensured. 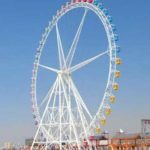 The boat shaped gondolas are made of fiberglass reinforced plastic, the supporting structures of the rides are built of welded steel, and decorative paintings on the whole rides are thick enough to meet certain standards and are unfading. What’s more, the rows of seats in the gondolas are comfortable and safe with safety belts. 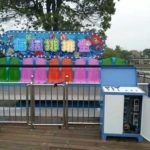 To ensure for safety of the mini pirate ship rides for children, each part of the rides is carefully checked after production. Portable pirate ship rides. As for the backyard children pirate ship rides, except for all the advantages enjoyed by fixed mini pirate ship rides, they are more portable and suitable for your backyard, where you can have a great family time. In light of the popularity of the small pirate ship rides for children, one piece of this ride in your parks will definitely be a great draw for young children of all ages, and in return, you will get revenues in great amount. Beston has a competitive price about the mini size pirate ship ride. You pay less, but you can earn most! Where to Buy Mini Size Pirate Ship Rides? 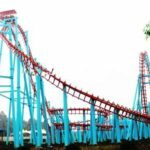 Having several years of manufacturing and selling amusement rides at home and abroad, Beston Amusement Equipment Co., Ltd., is skilled in manufacturing and providing your professional advice and services for your profitable amusement rides business. As for small pirate ship rides, Beston supplies a wide range of children pirate ship rides in different sizes, themes, and designs. 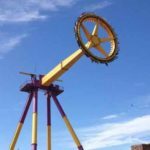 If you have no exact ideas for your needs, we will consider every factor, such as your budget, the places where you want to put the rides, and your guest sources, etc., to make the best choice for you. Besides, if you have any specific requirements, Beston will spare no efforts to meet your needs. Except for all the advantages mentioned above, affordable price is another outstanding further advantage of Beston kids pirate ship for sale. 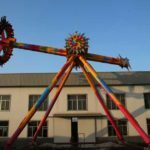 All in all, Beston is the better choice for purchasing small pirate ship rides for children and other fairground rides with high quality at reasonable prices. 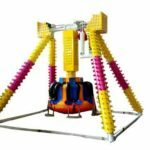 If you want to purchase mini pirate ship rides for children, Beston Amusement Equipment Co., Ltd.is your ideal choice, whether in the matter of the quality of amusement parks rides or the prices. We will give you best mini pirate ships and excellent services. Please give your inquiry in the form below RIGHT NOW. We will reply you in 12 hours.